Finally we had our last training exercise at a place called Jhansi. Wingate asked us in 5 Column to make an assault on the railway station which was guarded by another column acting as the enemy. As far as my platoon was concerned the exercise had already proved to be a flop. Nevertheless, I was ordered to make an attack on the station with just four men; Sergeant Thornborrow, Ptes. Dunn, Feeney and myself. Meanwhile, the Commando Platoon, under David Whitehead and Sergeant Pester, had the time of their lives, blowing up the various installations around the station and causing great alarm and bewilderment to the unsuspecting passengers present at the time. (Quotation from Return via Rangoon, by Philip Stibbe). Frank Ernest Pester was born on the 12th December 1920 in Leicester. Frank married Joyce Lilian Pole from Barrow upon Soar, just after the war in the winter of 1947. During WW2 he had served with the Royal Engineers, specialising in the use of explosives and demolitions. 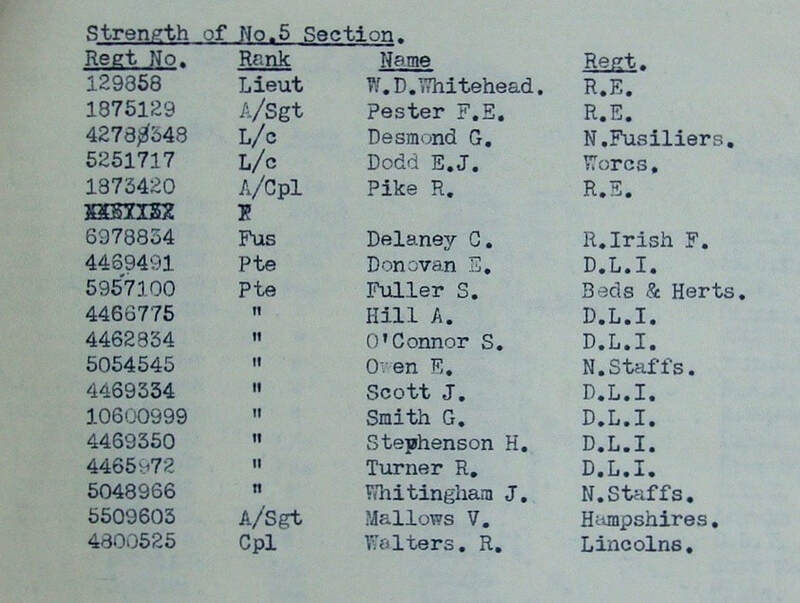 Frank arrived at the Chindit training camp located close to the Indian village of Abchand, on the 8th September 1942 and was placed into the Commando Platoon for 5 Column as Acting Sergeant and second in command to Lt. David Whitehead also of the Royal Engineers. In January 1943, 77th Brigade began their journey into Burma. The majority of Northern Group crossed the Chindwin River on the 15/16th February at a place called Tonhe. Several of the Chindit columns bumped up against each other at this time and traffic at the river became very congested. 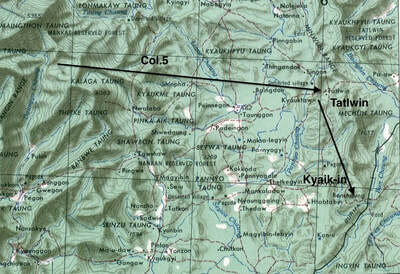 To alleviate the pressure at Tonhe, Bernard Fergusson and 5 Column decided to move slightly north and cross at Hwematte. Several of the column's most competent swimmers, including Sgt. Pester and Pte. Edgar Berger assisted in getting the power-rope across the Chindwin. Both men had their work cut out during this time, when the rope became entangled in the reeds at the bottom of the river and a succession of long dives were needed to free it. Frank Pester's main task on Operation Longcloth was to assist with the demolitions to be undertaken by 5 Column at a place called Bonchaung on the Mandalay-Myitkhina railway. Sgt. 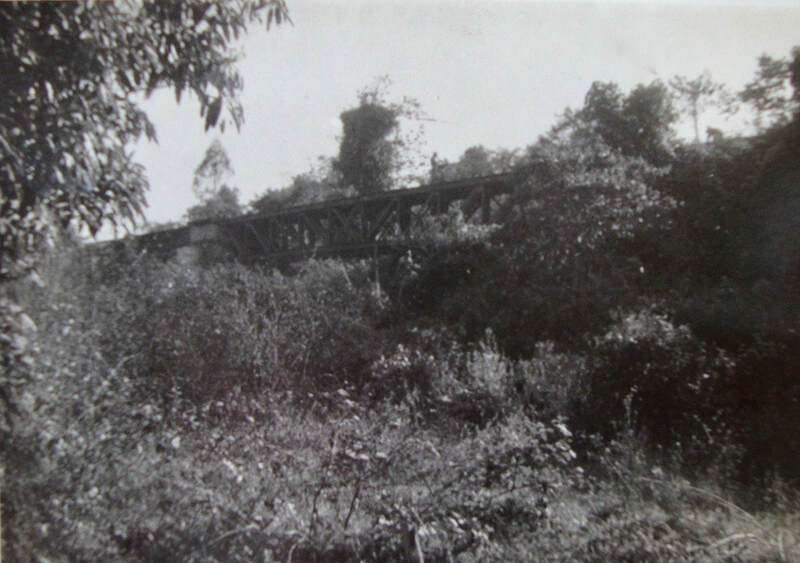 Pester's specific task was to blow up the gorge at Bonchaung, making it impassible to rail traffic, whilst the other half of the Commando Platoon dealt with the railway bridge and tracks closer to the station. I became more and more anxious to hurry to Bonchaung, and so I told Gerry (Roberts) to come on with men and animals as fast as he could, while I pushed on ahead with Peter Dorans. We got there just after five o'clock on the 6th March, to find everybody in position. David Whitehead, Corporal Pike, and various other sappers were sitting on the bridge with their legs swinging, working away like civvies. 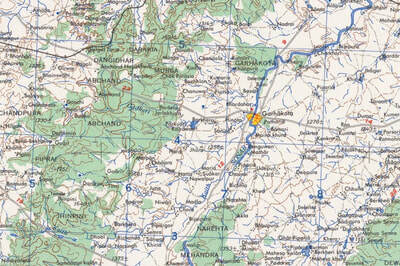 Seen below are two images in relation to the demolitions at Bonchaung. 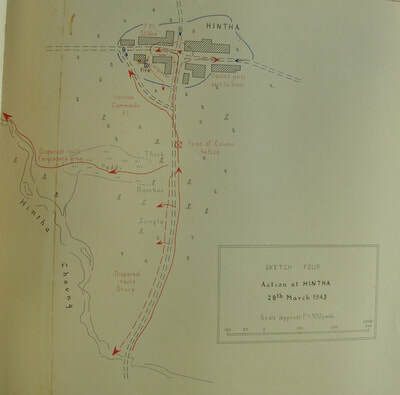 Firstly, a map of the area around the village and secondly, a sketch map depicting 5 Column's involvement. 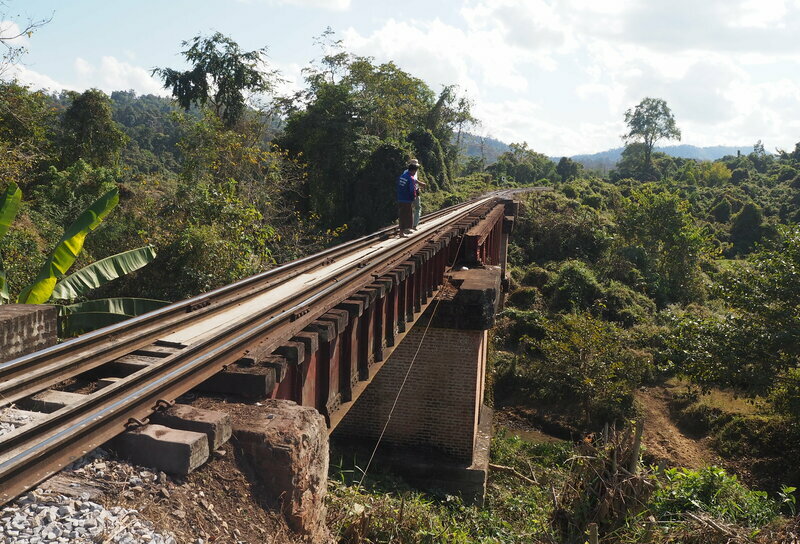 Also shown is a contemporary photograph of the bridge at Bonchaung before 5 Column's intervention in 1943 and two images of the same bridge in 2019. Please click on either image to bring it forward on the page. On about the 24th March, Wingate gave the order for 77th Brigade to return to India. 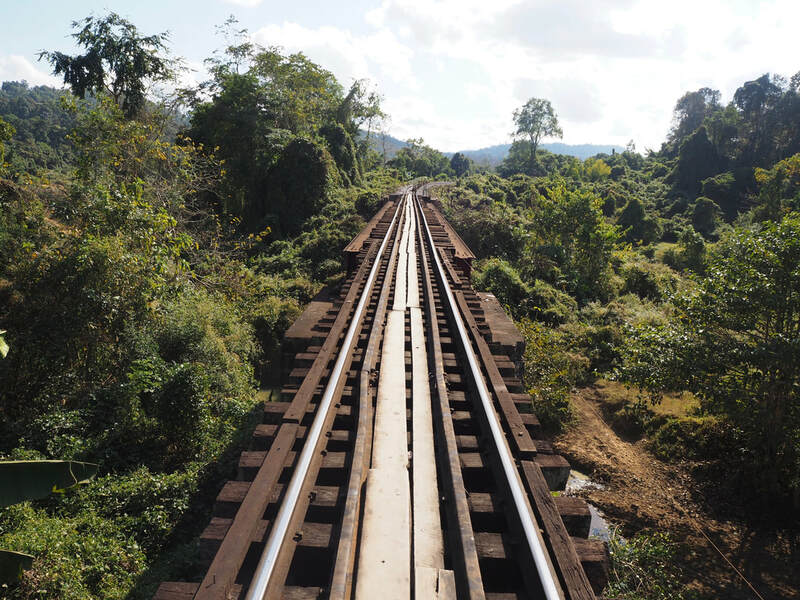 He asked 5 Column to create a diversion for the rest of the Chindit Brigade, which was now trapped in a three-sided bag between the Irrawaddy and Shweli Rivers to the west and north and the Mongmit-Myitson motor road to the south. 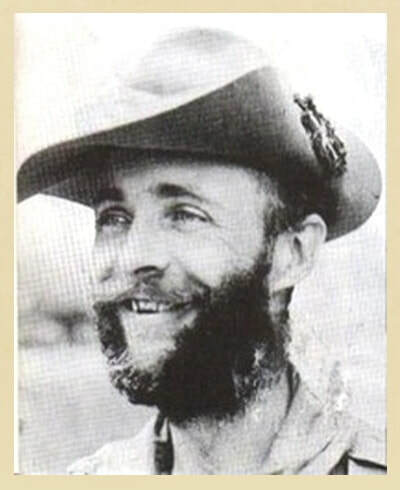 Brigadier Wingate had instructed Fergusson to "trail his coat" and lead the Japanese pursuers away from the general direction of the Irrawaddy and in particular the area around the town of Inywa, where Wingate had hoped to cross. 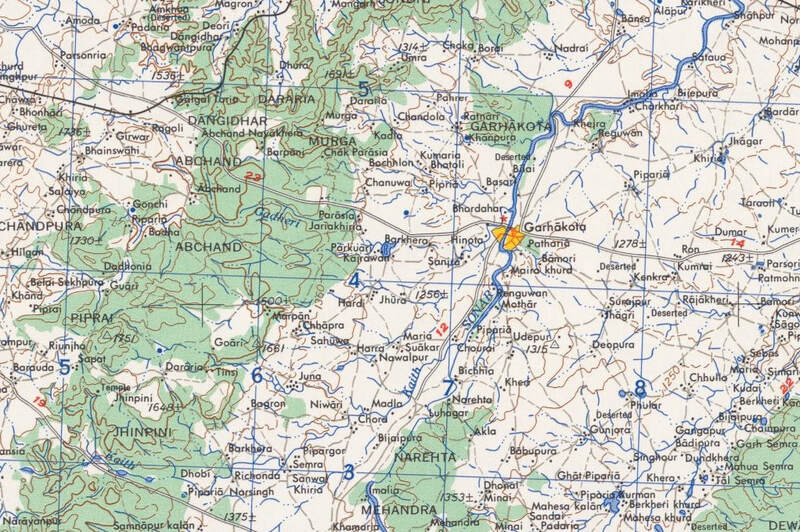 By March 28th the column had reached the village of Hintha which was situated in an area of thick and tight-set bamboo scrub. 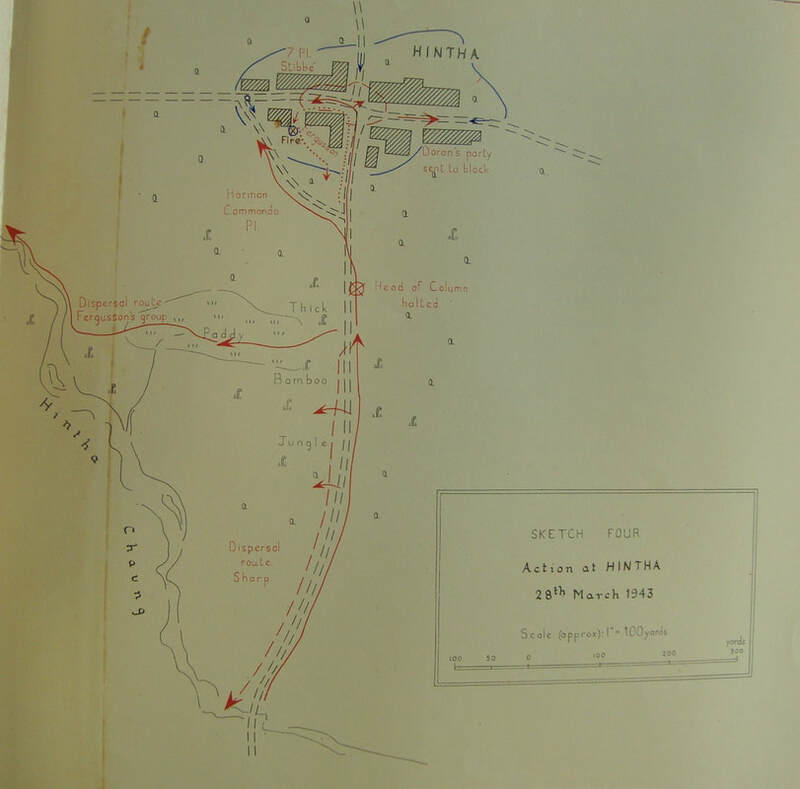 Any attempt to navigate around the settlement proved impossible, reluctantly, Fergusson decided to enter the village by the main track and check for the presence of any enemy patrols. He unluckily stumbled upon such a patrol and a fire-fight ensued. Fighting platoons led by Lieutenant Stibbe and Jim Harman entered the village in an attempt to clear the road of Japanese. These were met in full force by the enemy and several casualties were taken on both sides. Stibbe, himself now wounded, returned to the base position of the column and reported to the Major that the situation was getting very hot and that the Japanese were making any forward movement extremely difficult. We did not have to wait many seconds before machine-gun fire started from somewhere down the left fork of the "T" junction; the Major told me to take my platoon in with the bayonet. My platoon were in threes behind me, facing down the the track in the direction of the firing. It was impossible to see much in the dark, but there was no time to waste, so I shouted, "Bayonets" and told Corporal Litherland and the left-hand section to deal with anything on the left of the track and Corporal Handley and Corporal Berry with the right-hand section to deal with anything on the right. Corporal Dunn was in the centre immediately behind me with his section and I the told him to follow me and deal with anything immediately in front. All this took only a moment; the Major shouted "Good luck", I gave the word and we doubled forward. It is difficult to realise what is happening in the heat of battle and even more difficult to give a coherent account of it the afterwards, but I remember seeing something move under a house on our left as we went forward and firing at it with my revolver. Then machine-gun fire seemed to come from several directions in front of us and I hurled a grenade at the nearest gun and we got down while it went off. I was standing up to go forward again when something knocked me down and I felt a pain in my left shoulder-blade. The platoon rushed on past me. What was happening in the darkness ahead I could not tell but there was a confused medley of shots, screams, shouts and explosions. The firing continued intermittently and the Major sent Jim Harman and the Commando Platoon to try to attack the Japs down the little track we had seen leading off to the left. Alec Macdonald went with them. While this was being done, the Major came over to speak to Corporal Litherland and me but he had hardly begun when a Jap grenade landed beside us. The Major only just had time to throw himself on the ground before it went off; he was on his feet again in a moment and I did not know till long afterwards that he had been hit in the hip by a fragment. Corporal Litherland was wounded in the head and arm but not as badly as a nearby private soldier who had a terrible head wound and started begging me to shoot him to put him out of his agony. Fortunately Doc Aird came up with some morphia. By some miracle, although the grenade had landed scarcely an arm's length from me, I was untouched. By this time I was so covered in blood that the Major was convinced I had been hit again. Meanwhile the Commandos had put in their attack down the little track and we were all stunned when the word came back that Alec Macdonald, who had led them in, had been killed with Private Fuller. Jim Harman, who was with him, had been hit in the head and arm but he and Sergeant Pester went on with their men and cleared the track. The firing now flared up again in our direction, but my platoon, who had remained calm and steady throughout, only fired when they saw a definite target. It was during the burst of firing that Doc Aird came up with one of his orderlies and dressed my wound. Shots were whistling just over their heads and I offered to move under cover while they did it, but they carried on where they were as calmly as if they had been in a hospital ward. The bullet had gone in through my chest just below my left collar bone, leaving only a very small hole which I had not noticed; the hole at the back where it came out was considerably larger and it was from this that I was losing all the blood. We were safe at the T junction as long as it was dark, but it would have been an exposed position by daylight and dawn was breaking. We did not know how many Japs we had killed but it was obvious that their casualties had been far heavier than ours. I was not able to check up on my platoon's casualties but I discovered afterwards that we had lost Corporal Handley, Corporal Berry, Lance-Corporal Dunn and Private Cobb, while Corporal Litherland and one or two others had been wounded. The news then came that a way had been found through the jungle at the side of the track, so the Major ordered Brookes to blow the second dispersal call on his bugle. This was the signal for the column to split up into groups which were then to make for the pre-arranged rendezvous. The battle at Hintha would prove to be 5 Column's undoing and the unit never recovered its full strength or cohesion from this point on. In the confusion of the withdrawal from the village, Sgt. Pester found himself in charge of a party of men and he led these away towards the previously arranged rendezvous, some two or three miles to the northeast. 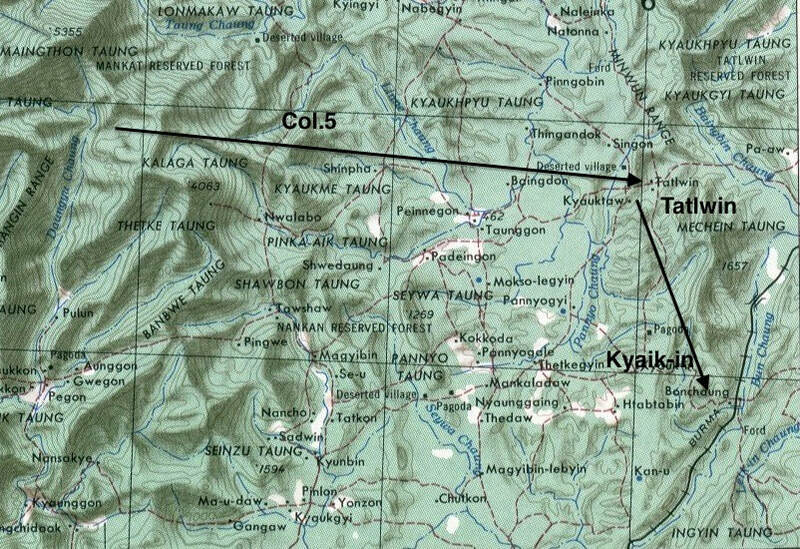 Pester's party did not return to the main body of the column until 48 hours later as they were about to cross the Shweli River near a place called Tokkin. 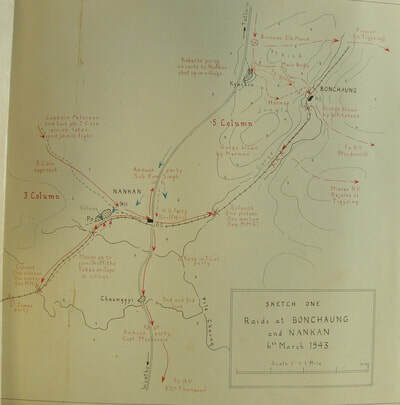 Operations in Burma, February - May 1943. This N.C.O. was Platoon Sergeant of the Sabotage Squad of his Column. He turned to good use his experience in previous campaigns and led with a sure hand the younger soldiers in his squad. 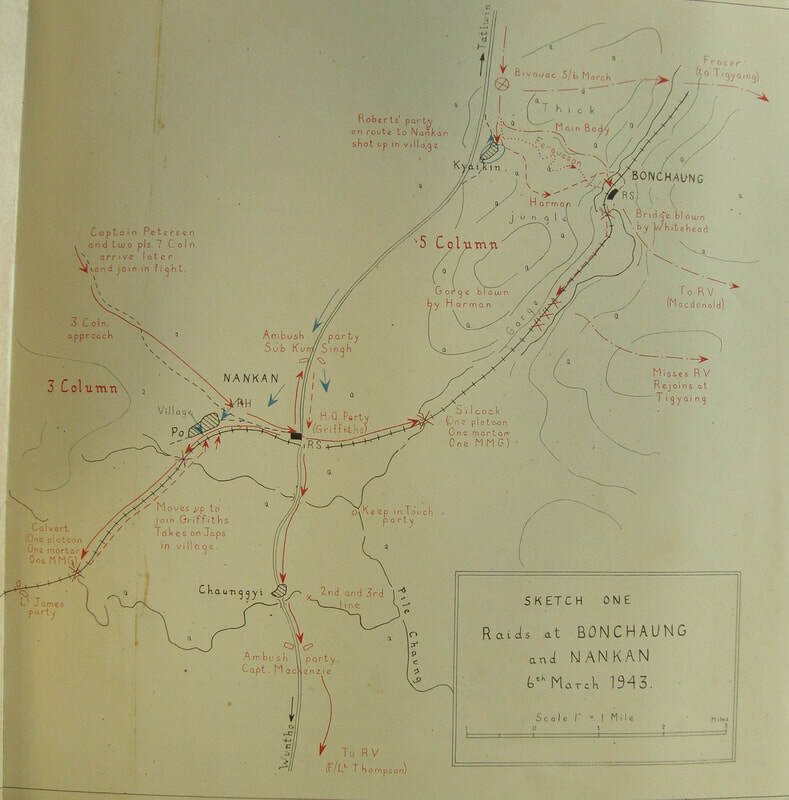 On 6th March 1943, he was in technical charge of the blocking of the Bonchaung Gorge. Working in the darkness without the assistance of moonlight, on a railway which had already been attacked at many points that day, and in close proximity to an enemy who had already been thoroughly roused, he brought down hundreds of tons of soil and rock on to the line completely blocking it. On 28th March 1943, he played a leading part in clearing Hintha village at its western end and eliminating at least two machine-gun posts at close quarters. He was engaged in hand to hand fighting for two periods of at least five minutes. He set a fine example of utter fearlessness in danger, and an example no less valuable and more rare of complete cheerfulness in adversity over a long period of hardship and privation. Signed By: Brigadier O.C. 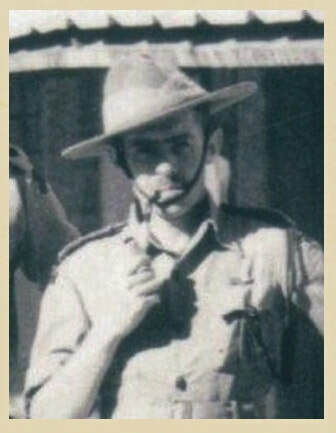 Wingate, Commander 77th Indian Infantry Bde. Shown below is the original citation for the award of the Distinguished Conduct Medal. Please click on the image to bring it forward on the page. 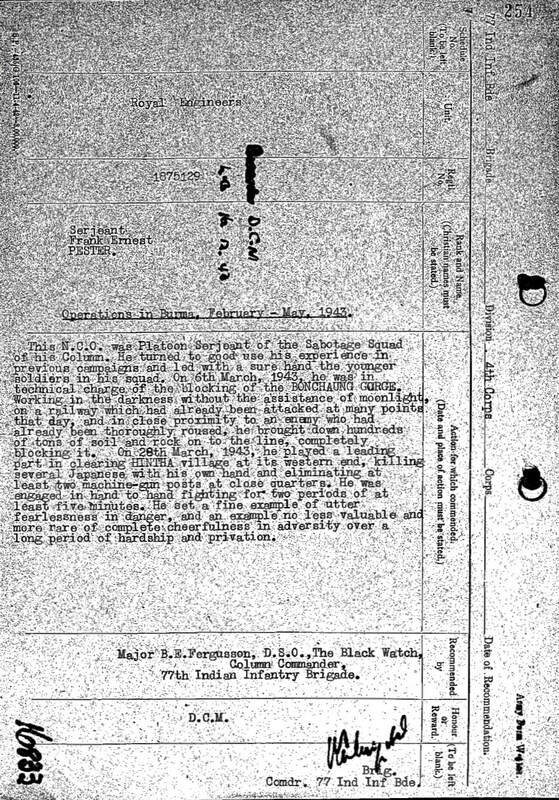 The original typed recommendation of Sgt. 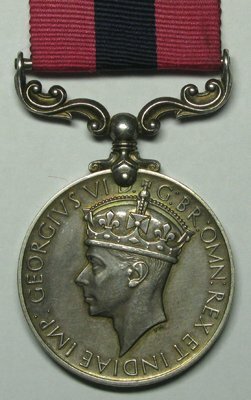 Pester's award of the D.C.M. Hi, I came across your website when I was trying to find the name of Lt. Sibbe's book. I have not had a full chance to look at it all yet, but wondered if you knew of a Sergeant Frank Ernest Pester? He won the DCM at Hintha and was a very good friend of mine; alas he died many years ago, being survived by his devoted wife, who sadly passed away of a broken heart not long afterwards. 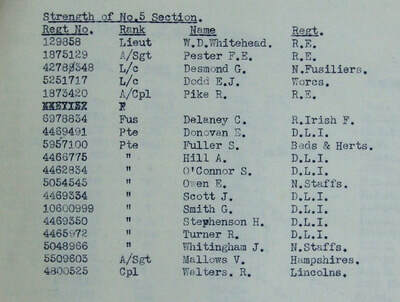 Frank is buried at Syston and a representative from the D.C.M. & Burma Star Associations were present at his funeral. I met him when I worked for the council. I loaned him books on the war in the east and he eventually told me many stories of his adventures in Burma. Working for the council brought me into the homes of many vets, and as I am very interested in military history I have been fortunate to have heard many exciting stories. Gary's email contact prompted me to write out this story. Although I did respond to his contact, so far I have not received a reply. This is possibly because many of my replies to family enquiries seem to go into the recipients spam box and the trail becomes lost. Copyright © Steve Fogden, July 2017.